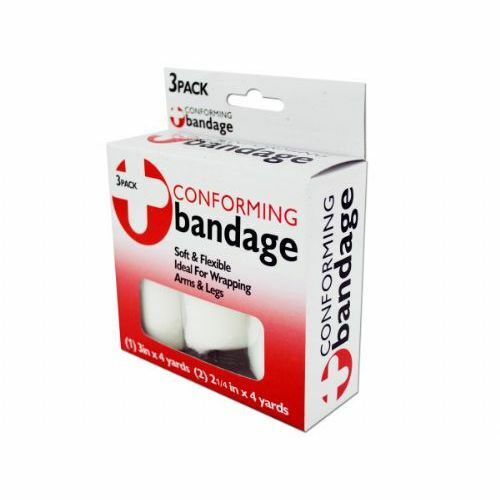 Ideal for wrapping arms, legs, hands or feet, these Wrap Bandage Rolls are soft, comfortable and conform to body. Each pack comes with 3 white rolls (2 assorted sizes). One roll measures 3 x 60 and the remaining rolls are 2 1/4 x 60. Bandages are packaged in a hanging box. Box measures approximately 4.25 x 1.5 x 5.